An unused and undated postcard produced by Judges Ltd Hastings. 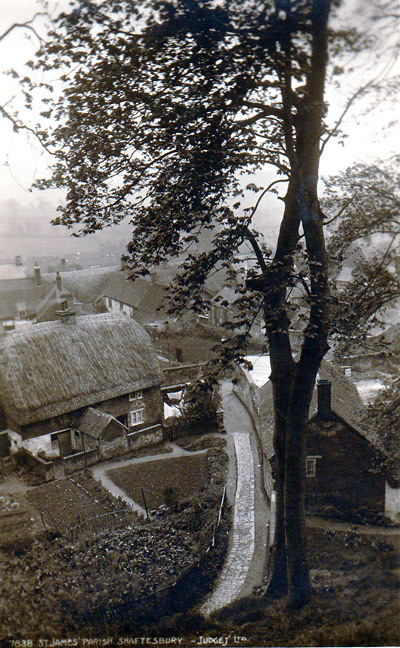 The village of St James at the bottom of the hill is said to be the oldest part of Shaftesbury. 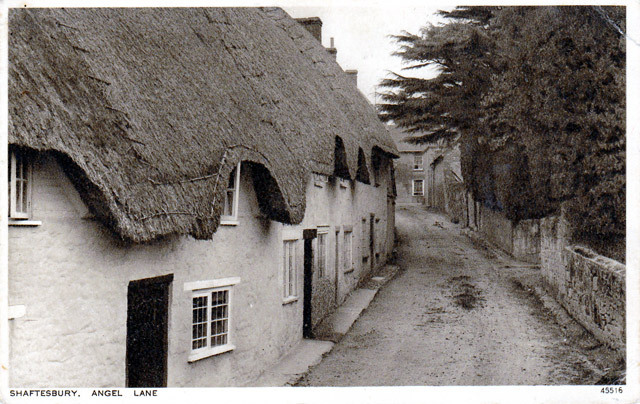 Unposted postcard produced by Jarrold & Sons, Ltd. Norwich England. 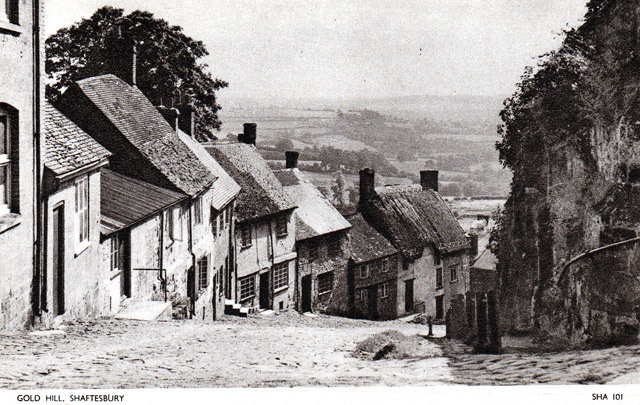 No collection of images of Shaftesbury would be complete without one of Gold Hill. 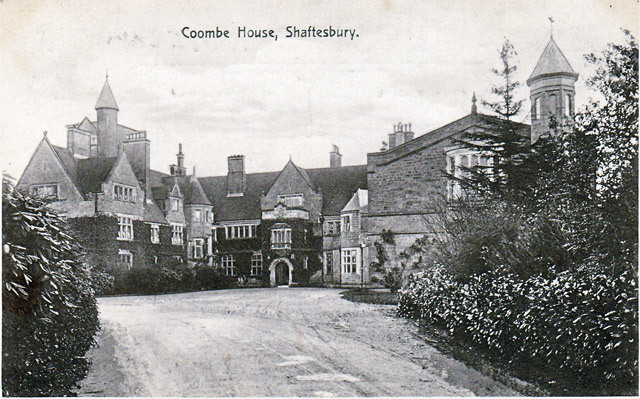 Shaftesbury. 700 Feet above sea level. Unposted postcard produced by E Williamson & Co., Trowbridge. 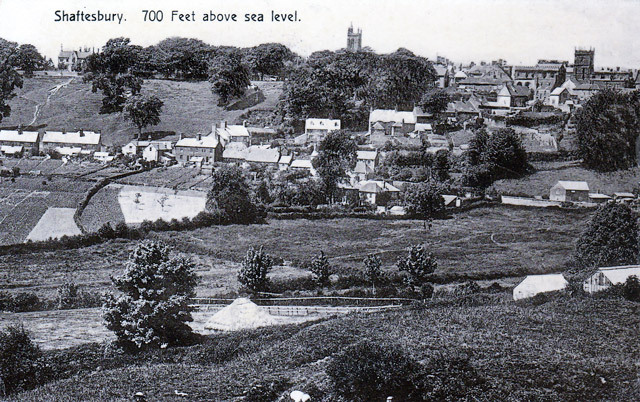 Postcard produced by R Wilkinson & Co of Trowbidge and printed in Germany. This postcard was postmarked Woking 8 May 1915 and addressed to Mrs Law, Laurel Cottage, Hartgrove Hill, Shaftesbury and referring to these terrible times (ie the Great War, now known as World War I). Mrs Law was probably Eliza Law nee Tuffin. Eliza Tuffin was born in Sutton Waldron in Dorset in 1853 and she married Ezekiel Law (1849 - 1916) in 1875. They did not have any children. Coombe House is now part of St Mary’s School, a Roman Catholic School for girls. Genealogical Note: Some of John's ancestors (particularly the surnames Buckland and Swyer) came from Shaftesbury.